The Gold Coast Broadwater is one of the most stunning natural attractions for holiday travelers holiday on the Gold Coast. It has a wide stretch of sandy shores centrally located just north of Surfers Paradise, close to Southport, Main Beach and home of the Indy Racing. This magnificent still waterway was formed naturally thousands of years ago as the Nerang River cascaded down from the Hinterland and widened before entering the ocean. 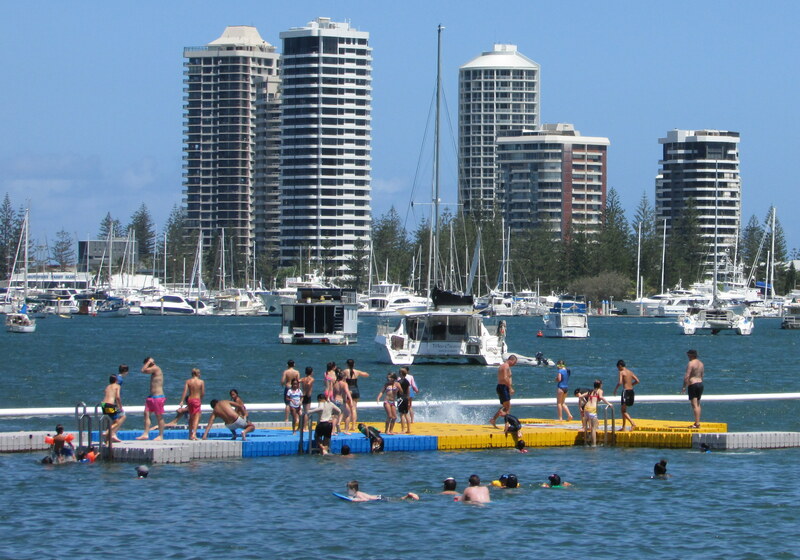 Today the Broadwater is one of the city most identifiable landmarks and a recreational playground for holiday visitors and locals. The Broadwater is a protected haven for boating with direct and safe access to the Pacific Ocean via the Gold Coast seaway its a fishing charters paradise. Also lining the Broadwater are superb accommodation choices, ranging from three-star to five-star apartments, hotels, motels and an excellent tourist park. Visitors needing a little retail therapy can head to Marina Mirage and Mariner's Cove, Australia Fair and Runaway Bay shopping centres or Harbour Town with its discount factory outlets. A wide range of watersports and pleasure boat operators are based on the Broadwater. Visitors can parasail, windsurf, go for an adrenalin-filled spin in a high-speed powerboat boat or, for a more leisurely pace, hire a houseboat or barbecue pontoon and wile away the day. Joy flight operators (both fixed-wing and helicopter) can give visitors a breathtaking bird's-eye view of the Broadwater. Some of the Gold Coast's leading man-made attractions are located on the banks of the Broadwater, including Sea World, the new Palazzo Versace Hotel and the fabulous Grand Hotel with its plethora of great dining outlets.